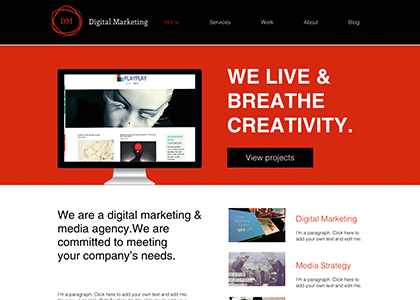 For DIY web design, it’s hard to beat Wix​. The world’s leading website builder, Wix is so simple that any beginner can master the site’s drag-and-drop interface. 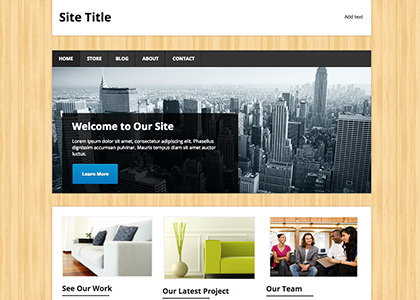 Wix also features hundreds of templates organized by business type. 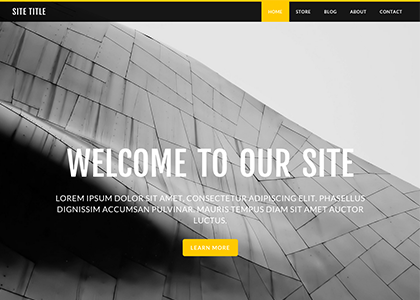 A premium website builder like Web.com can present a vast range of templates to choose from, while with Weebly​, you can search templates by the style you want, be it “sleek” or “fun,” or something a bit more serious. Not every business is as straight-forward as a lemonade stand. If your business is a bit complicated or niche, or you don’t have an obvious product to sell, you should consider a template that can help you get your message and branding across to customers. 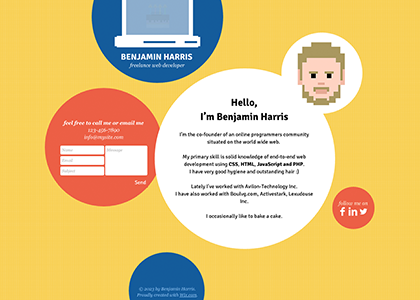 Weebly offers the following Office template which can help you convey your mission and image seamlessly to any visitor. Templates like this can incorporate blogs and all types of other content that deals with your company and the message you want and need to get across. If you have more time and want to let your talents run free, you can try a multi-layered template like the following from Wix. With bold graphics, a bright header, and scrolling images, it shows viewers exactly what your site is all about and can hold their interest as long as they’re on your site. Image is crucial for a business, and you need to consider a template that can help you get the point across. This Wix Photo Studio template is simply gorgeous, offering highlights of your albums on each tab, and easily allowing you to view photos with a powerful image zoom. Captions for each photo make displaying your work how you choose a breeze. Want to make a statement with one defining image? This Weebly offers the ability to choose one photograph as your homepage background and offset it with a bold piece of text.